Which means I'm back to work! Here is a sneak peek at some of the treasures I've found. The celluloid Kewpie doll is from my "secret shop"
around the corner. She was too hard to resist. So are bunches of old lace and pink baby shoes! 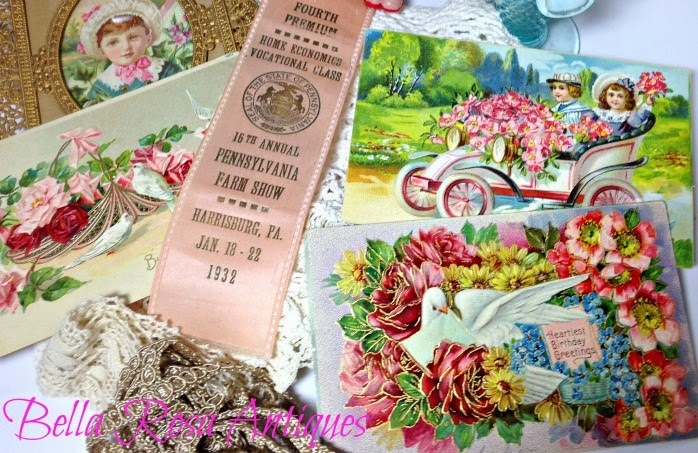 And I loved finding the pink farm show ribbon... 1932!!! so many ways to enjoy them. always saved her nicest things for "someday"
never used. Don't we all do that too, though? Why not use them now? for listings later on in the week. So excited to share my summer finds with you! link party at the Writer's Reverie today! All my favorite things in one image - and in your shop! And all my disposable income going towards my fundraising for publication. Gah! This will be a dry year for thrift finds. Glad I have your eye candy at Bella Rosa! 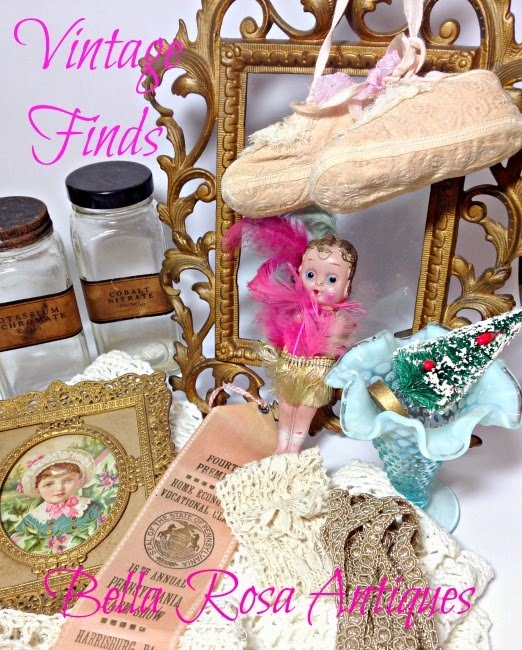 Love Love Love your finds - that ribbon is perfect! I have a few of my own.